For being such a tiny little grain, quinoa really packs a nutritional punch. It contains all nine of the amino acids essential to the human body, making it a complete protein. It is fiber-dense, which helps promote bowel health, prevent heart disease, lower cholesterol, and keeps you feeling full longer. 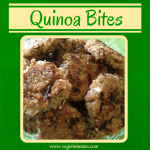 Quinoa is also a good source of iron, magnesium and manganese. These little bites are simple to prepare. Serve them in place of fries the next time veggie burgers are on your menu. They make a great side dish, but can also be the main attraction, with steamed or grilled vegetables on the side. 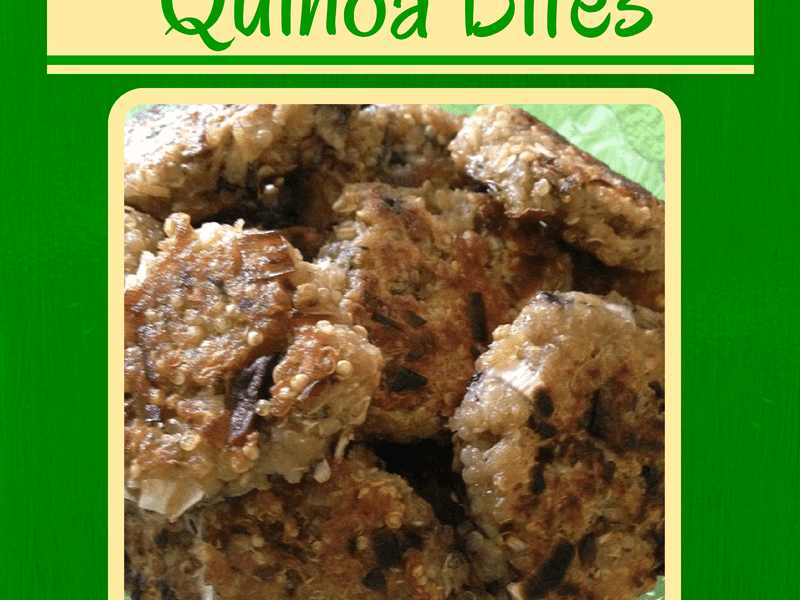 *Recipe adapted from Quinoa Tater Tots on Plant Based on a Budget. Bring quinoa and vegetable broth or water to a boil in a saucepan. Reduce heat to low, cover saucepan, and cook quinoa for 15 minutes, until water is absorbed and grains are tender. Remove pan from heat and cool for 5 minutes. Fluff cooked quinoa with a fork & set aside. In a medium bowl, combine leek, mushrooms, chives, flour and salt. When quinoa is done, add it to the mixture. Add non-dairy milk and lemon juice. Using scant quarter-cupfuls, form mixture into small, thick patties. Place patties on a plate and place in the freezer for 10 minutes. While the patties are chilling, heat oil in a non-stick pan over medium heat. Place chilled patties into heated pan. Cook until patties are browned on both sides, about 5 minutes per side. These were delicious. Of course I tweaked them a little. I used shallots since I had no leeks or scallions, and I added orange pepper and olives chopped very fine as well as the mushrooms and also added some horseradish mustard for a little zing. Turned out great. And you can use Trader Joe’s green salsa for a dipping sauce if you skip the hot mustard in the recipe. Loved em! !